Our team at Nicholson encompasses an impressive range of maritime talents, from former crew to captains, charter consultants, and owners themselves. Nicholson’s first-hand knowledge of today’s fast-paced yachting industry sets the company apart. – Yacht Charters, Charter Management or Yacht Sales -We are here for YOU. Instant savings for Nicholson clients! 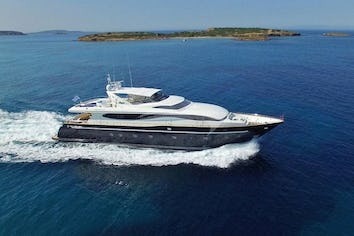 Check Out Our Yachts for Charter! 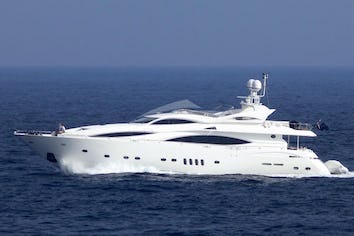 Search for More Super Fun Yachts and Their Crews! Yacht News, Lifestyle & Events! If the phones are ringing and we don’t get to them right away, please be patient! Team Nicholson (above, left: president Karen Kelly Shea and charter and brokerage associate Julia Towne) is helping its fleet shine for brokers, central agents, and other admirers who are scoping out boats to book luxury crewed yacht vacations. Headed to Barcelona April 23? Get this book! “Nicholson Yachts: Boutique Creativity” is now live on the Paddock magazine website. Enjoy! We know you want to be informed about your favorite tropical destinations. Find the latest status updates from the Caribbean Hotel and Tourism Association about the islands here. Fulfill your Fanta-seas with OCEAN PHOENIX! Carpe Diem – Just Do It! What do tennis and yachting have in common? While the Caribbean is typically referred to as paradise for its relaxed vibe, sandy white beaches and clear- turquoise water, it is rarely included among the great gastronomic hubs. It may be time to change that! Among its advantages: fresh ingredients such as straight-off-the-boat seafood, tropical fruits picked each morning, and its plethora of spices. Champagne is a symbol for luxury and it is no wonder why a crisp, chilled glass of champagne is the go-to drink for celebrations, toasts and lavish events. From the Queen’s favorite to a case preserved at the bottom of the Baltic Sea, we raise a glass to the finest champagnes in the world. What is it like spending your vacation with a yacht crew? If you plan on traveling by plane this holiday season, you’re not alone. Airports are packed and lines are long. Here are a few pointers to help alleviate the stress so you can arrive full of holiday spirit! Why is Fall the Best Time to Buy A Boat? If you’ve had your boat for a while, you probably have a great routine you follow each year. But if it’s the first winter for you and your seaworthy companion, you may need some pointers. 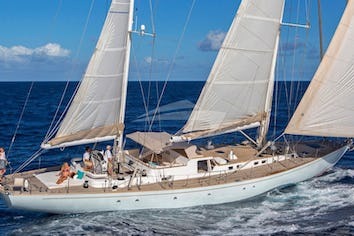 Blue Horizons- A Classic Hatteras with Recent Modifications! The Tall Ship Oliver Hazard Perry returned to Newport on Saturday morning after a six-day voyage with 28 teenagers and 20 adults. With over 600 exhibitors, this is an event you won’t want to miss! 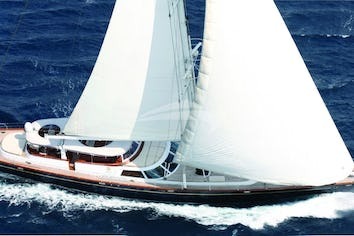 Nicholson Yachts is proud to feature sailing yacht EROS, a classic 115 ft schooner that has a rich sailing history. IDA LEWIS DISTANCE RACE August 19th-August 20th Friday, August 19, 2016 will mark the twelfth edition of the Ida Lewis Distance Race. Nicholson Yachts Joins With Volvo Car Open Tennis CHARLESTON, SC: The Charleston office of Nicholson Yachts is preparing to welcome pro tennis’ most highly touted women players as they descend on Daniel Island for the Volvo Cars Open, April 2 – 10. Nantucket Lightship Listed for Sale One of maritime history’s most iconic vessels has been listed for sale by Nicholson Yachts for an asking price of $5.2 million. Why Charter a Yacht in New England – Start Newport What better way to experience and explore the New England area with its beauty and its richness in history than with a luxury yacht charter vacation. S/Y MATAU dropping off much-needed educational books to schools and throughout the Caribbean. 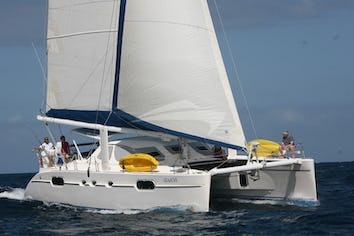 Sailing from St Vincent to Grenada, stopping along the way at Union Island, Mustique, Bequia etc..
SINGAPORE YACHT SHOW – April 7-10, 2016 The Singapore Yacht Show is an exclusive event with some of the world’s finest superyacht and international yacht brands held at the award-winning ONE°15 Marina Club. ANTIGUA SAIL WEEK 2016 April 23-29, 2016 Antigua Sailing Week features seven days of fantastic, competitive, Caribbean sailing. 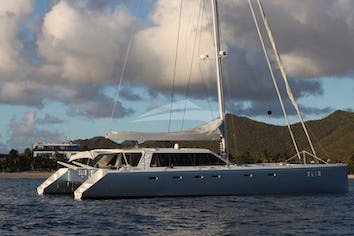 Nicholson Yachts will be attending The Annual Spring British Virgin Island (BVI) Charter Yacht Show.